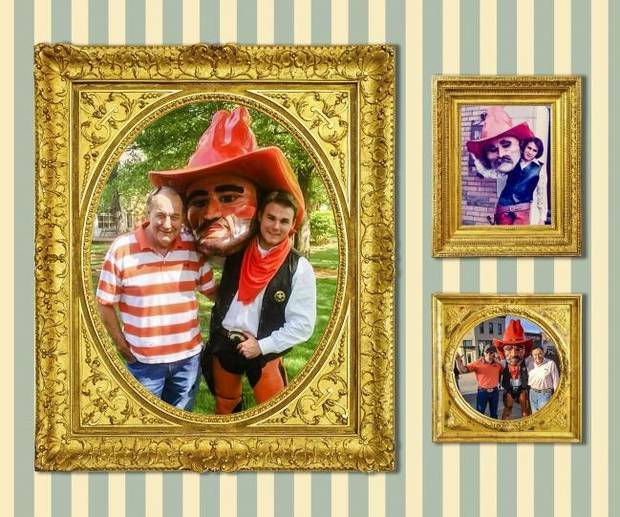 The father and son were sitting in the stands above what was then Lewis Field, watching an Oklahoma State football game when Mark Whitlaw motioned toward the Cowboys’ iconic mascot. “I was Pistol Pete,” Mark said. “No you weren’t!” Preston retorted. After seeing pictures and memorabilia verifying his father’s claim, Preston knew he wanted to be Pistol Pete.